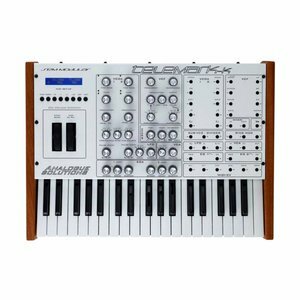 Telemark is a 100% analogue synth using circuits that date back to the 1970s and 1980s – these give it a really old sound that is rich and full of character. 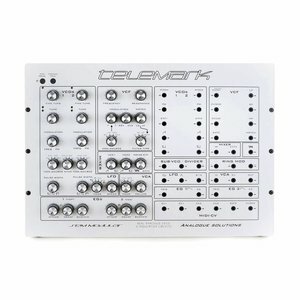 Telemark is a 100% analogue synth using circuits that date back to the 1970s and 1980s – these give it a really old sound that is rich and full of character. The circuits are not stabilized and sanitised by CPUs and the controls or not read by CPUs and quantised. It has a huge sound, especially when used for bass (something it excels at! ), a fact often commented to us by our customers with great excitement! Though a master at big bass sounds, Telemark is exceptionally good at making electronic percussion. 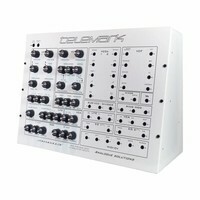 As well as bass and percussion, Telemark will produce leads, effects, modular style and other sounds equally well. Telemark is extremely powerful. Don’t be fool by the ‘simple’ looking front panel. 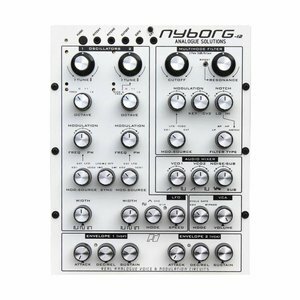 The synth has been designed to be easy to use, ideal for beginners, but still have the depth and versatility to enable many years of service. Many of the controls can route more than one signal to a destination. There are many modulation choices on the rotary select switches. All signal choices have been carefully chosen. It was designed by a musician of electronic music, and used in many of the music production. 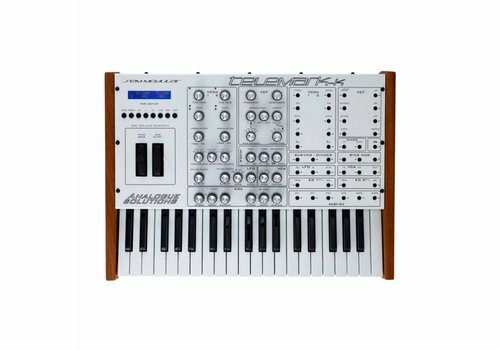 We like to think we know what makes a good synth and that is reflected in the design of Telemark. 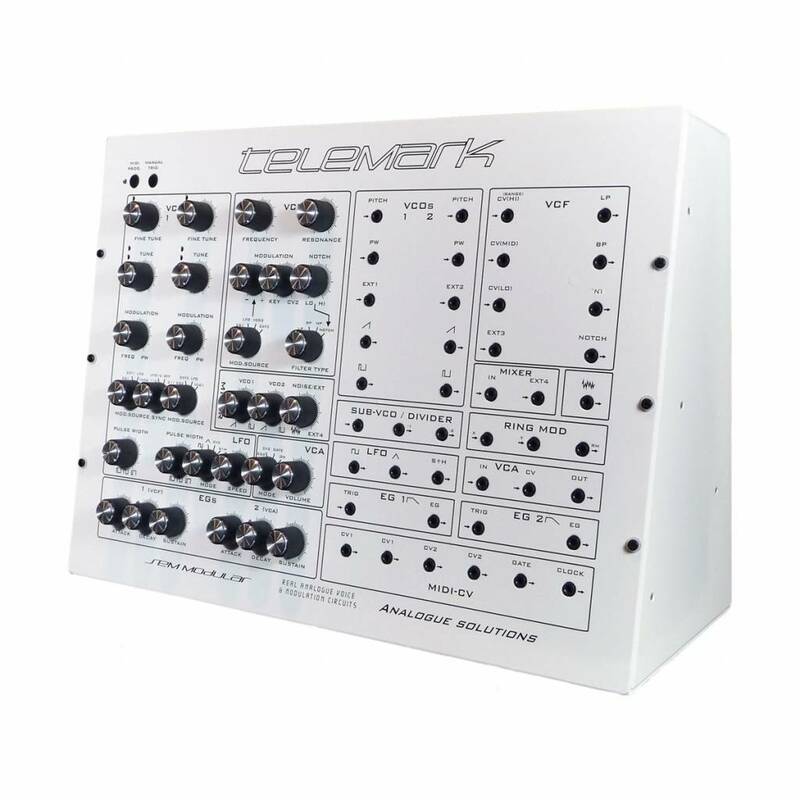 So Telemark is ideal for both beginners, and more advanced synthesists and musicians. Use anywhere you want big analogue sounds that have a true vintage sounds. 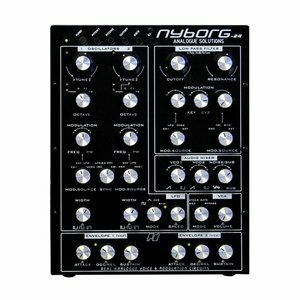 Ideal also if you have the budget for just one analogue synth since this synth covers so many bases (and basses!). Sub-Oscillator / Divider – for more beef. 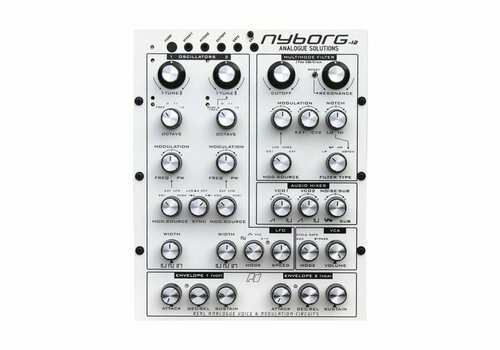 Patch points to allow more sound types, and to cross-patch with your modular synth’s. 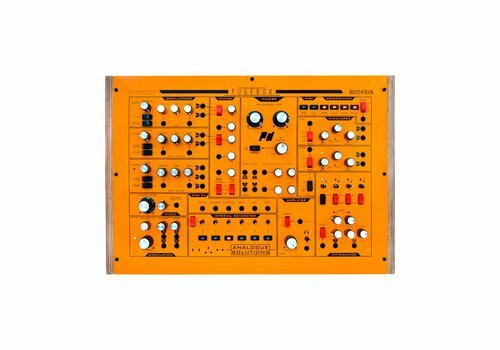 MONO SYNTHESISER — Telemark is for use any time you need analogue sound effects, fat basses, screaming leads, beeps, tones, zaps, and all the other crazy sounds associated with analogue synthesis. Use in place of your boring digital synths and DSP soft synths. 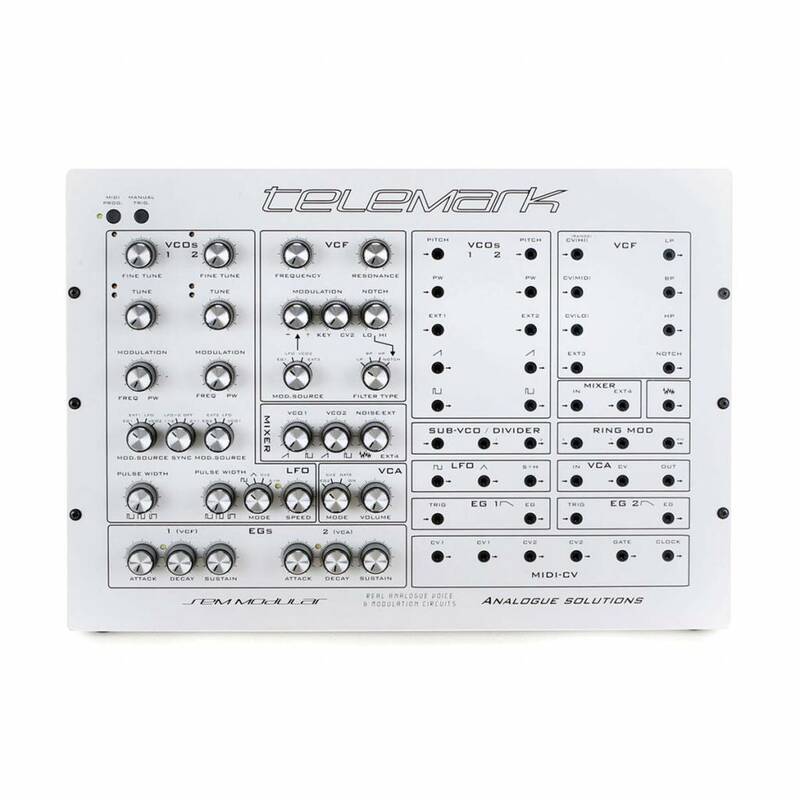 EFFECTS PROCESSOR — Telemark has an audio input socket, so you can feed external sounds into the on-board analogue filters for analogue processing. 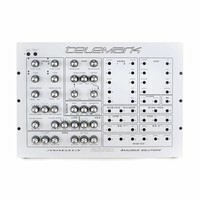 DRUM SYNTH — Telemark is more than capable of creating electronic percussion such as kicks, snares and hats. Record one track at a time in your DAW and build up the percussion. 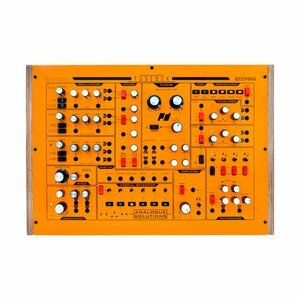 Pure analoguevoice & modulation circuitry. 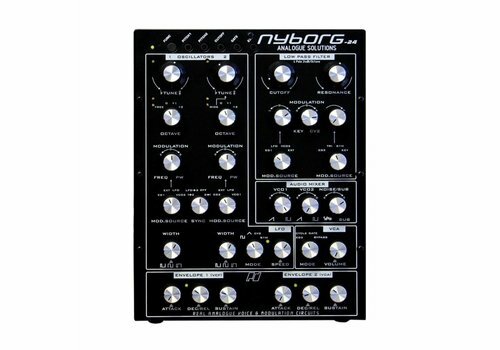 Analogue monosynth with Moog style filter.